Before going to our friends’ house for a Boxing Day gathering during the holidays, I stopped by Sipperly’s, our local wine shop upstate, for a gift bottle of wine. As I’ve mentioned before, the store’s layout is chaotic, but if you can get past that, the selection isn’t bad, and the occasional gem turns up. Looking up on a top shelf, apparently their (unidentified) organic section, an unusual forest green label with the clear wording “Biodynamic Syrah” caught my eye. 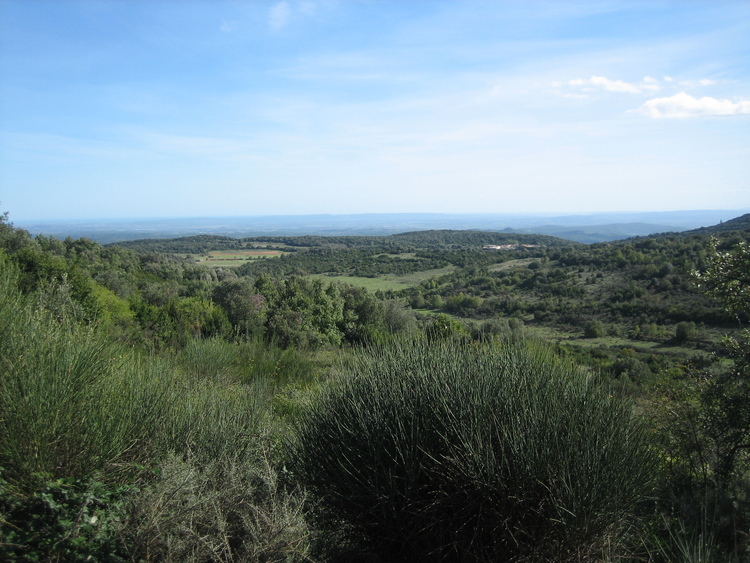 Anywhere you turn along the byways of the Languedoc, a.k.a. Le Midi, grape vines are in sight. It’s been that way since the 6th century BC, and it’s no accident: the region is endowed with sun and warmth, practically guaranteeing ripeness; cooling, cleansing winds from inland mountains and the sea; just enough winter rain; and diverse geology and topography, a vintner’s palette. This heady mix makes for naturally healthy vineyards, where synthetic pesticides and chemical applications are rarely necessary. Once the source of plonk that filled the European “wine lake” in the 1980s, the Languedoc, courtesy reforms at the national and European levels, has become France’s most exciting wine frontier, attracting many environmentally minded (and non-French) vintners and entrepreneurs, like Robert Eden and Kevin Parker of Chateau Maris. They’ve been at it, sustainably and biodynamically, since 1996. Unquestionably, “green” and “eco-friendly” wines are a growing segment of the global wine market, but navigating the eco-terminology can be challenging. 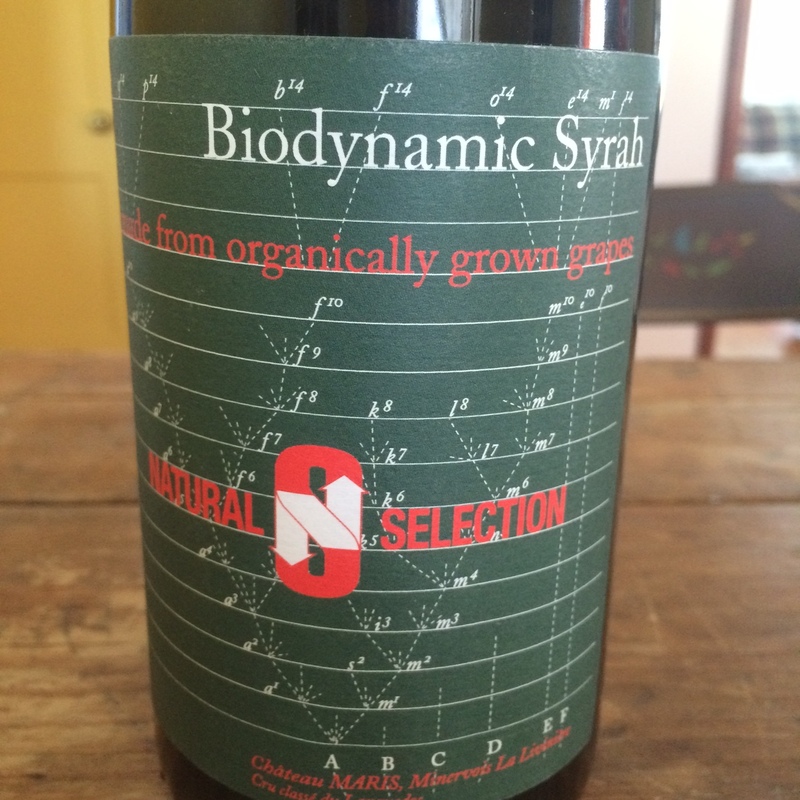 “Biodynamic wine” is a rather consistent concept, however, even across borders and oceans. It qualifies as organic, and shuns chemicals, but it goes well beyond basic organic requirements. Based on the teachings of Austrian philosopher Rudolf Steiner, biodynamic viticulture works with the cycles of nature to create a self-regulating environment where plants, animals and bacteria synergize, taking the place of chemicals. Some techniques include: natural spray preparations (like ground quartz combined with dried flowers) to feed the soil and vines; multiple cover crops to add biodiversity, fix nitrogen and attract beneficial insects; use of animals (like sheep) to keep vegetation in check and to fertilize the soil; and burying manure-filled cow horns by moonlight. It can get quite mystical, attracting many skeptics, but some of the wine world’s most revered names — Romanee Conti, Chapoutier, Nicholas Joly, Zind Humbrecht — are biodynamic, and the practice is spreading in vineyards across the globe. To get a biodynamic seal, vineyards must be certified by grower-based organizations like Demeter, the oldest and best-known, which operates internationally and assures consistency. 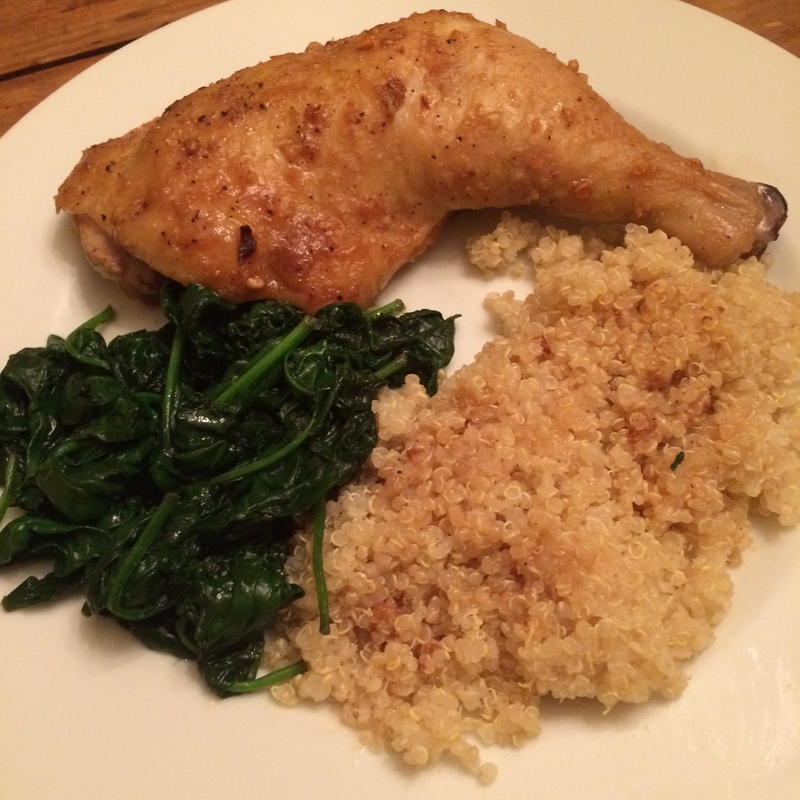 Which brings me back to the 2011 Biodynamic Syrah from Maris, actually a blend of 85% Syrah and 15% Grenache, tasted on a cold January night, and paired with home-made hoisin* roasted chicken. An intense, opaque purple/red, it has a pronounced nose of briar fruit with herbal/menthol and iron filing undertones. Plush with fine, silky tannins, the big-but-balanced palate brims with blackberry jam, pepper spice and black olive notes, finishing long and clean. Quite a mouthful for $14.00, and an excellent companion to the roast chicken, especially harmonizing with the Sichuan peppercorn in the home-made hoisin marinade. * Home-made hoisin: Combine in a metal bowl 4 Tbs of coconut aminos; 2 Tbs of sunflower seed butter; 1 Tbs of raw honey; 2 minced cloves of garlic; 1 Tbs of apple cider vinegar; 1/2 Tbs of sesame oil; a pinch of chinese chili (or cayenne) powder and/or ground Sichuan peppercorn. Whisk together the ingredients. This entry was posted in At Our Farmhouse, Eco-friendly Products, Environment, Wine, Wine + Food and tagged Biodynamic Syrah 2011, Biodynamic wine and viticulture, Chateau Maris, Demeter, Minervois La Liviniere, Natural Selection Wines, Sipperley's Grog Shop. Bookmark the permalink.